On December 4th I noted that Jurgen Koch at Fraser Yachts in Palma had reduced the price of Little Sarah, a 30.48m motor yacht, by €800,000 to €4.1 million and now I learn that she's had a further price cut. Little Sarah was built by DeBirs to RINA class in 2008 and has never been used, the only miles on her engines being from her sea trials. This megayacht sleeps 10 guests in a full beam master, two doubles and a convertible twin. 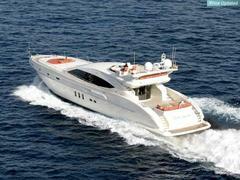 The latest €600,000 price reduction means that she is now asking €3.5 million.